Laser hair removal is a popular cosmetic procedure that many patients are asking for in an attempt to enhance their appearance. Lasers are used to target each hair and gradually eliminate them from the body. The team at the Center for Women's Health offer laser hair removal procedures you and others who live in many North Carolina communities, including Oxford. You're encouraged to call the facility and schedule an appointment if you're interested in learning more about the procedure and its benefits. Laser hair removal works by using a laser to target each individual hair, destroying the root and causing the hair to fall out. Lasers are non-invasive and can eventually eliminate even the coarsest of hairs. While it may take several treatments to completely eliminate the hair and prevent it from returning, the process is painless and can produce extremely effective results. If the hair does eventually grow back, it will be much lighter and finer than before. When fine hairs that are lighter in color are lasered, it may only take one or two sessions to prevent them from returning. Does laser hair removal offer permanent results? The results of laser hair removal procedures are often permanent, especially when lighter colored, very fine hair is targeted. Dark, coarse hair such as that found on the face, chest, pubic areas, and the legs may take several sessions before the follicle is altered enough that the hair won't return. If the hair does start to grow back, it will be much lighter in color and the texture will be much finer than before. If your hair grows slower, you may have faster, more effective results than patients whose hair grows rather quickly. The providers will be able to estimate how many sessions will be necessary to achieve minimal hair growth. Most patients need at least four to six laser removal treatments to see effective results. Your results will vary depending on the coarseness and thickness of your hair. The treatment sessions are scheduled every four to six weeks and last approximately 30 minutes each. In order for a hair removal procedure to be successful, the hair must be actively growing at the time of the procedure. This is part of the reason so many sessions are needed. The hair can grow and then lie dormant for a short period of time. By extending the number of treatments over several weeks, the sessions will include times when the hair is actively growing as well as when it is dormant. 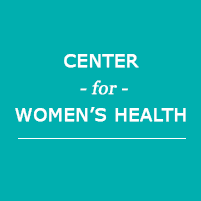 The Center for Women's Health serves the Triangle Area (Raleigh/Durham, Carey, Chapel Hill), Wake County, Clarksville, VA, and South Boston from their location in Oxford, NC - schedule an appointment today!